Pedestrians need better technology to avoid accidents at intersections. Cars today are loaded with all sorts of technology to avoid accidents, but pedestrians technology hasn't changed in decades. Isn't it time somebody put some effort into finding new ways to cut down on the number of pedestrian accidents too? Are you using the right power cords? Choosing the right power cord is something many people take for granted. After all, if your tools turn on when you plug them in, doesn't that mean it's okay? Not quite. Here's what you need to know. Some power tools require a lot of power, and although they'll turn on using just about any cord, that doesn't mean it's a good fit. When you use an extension cord that's too thin, it puts a strain on the cord itself. As it heats up, it's not only a safety hazard, but your tools won't work right. This is especially true of tools like drills, vacuum cleaners, lawn mowers, and just about anything with a motor because the motors won't spin as fast as they should. Why do large crowds of people turn into mobs? They say there's safety in numbers, but as the numbers get larger, things can get pretty ugly. For some reason, whenever large groups of people get together, a strange phenomenon takes place. With each new person added to the group, the group turns into a crowd, and as the crowd grows, so does the chance that it will turn into something entirely different... a mob. Before you blow your horn, have you considered the steering wheel? I'm a mellow guy by nature, and driving is no exception, so it's always fascinated me why so many people act like crazed lunatics behind the wheel. As a Mellow Driver, I tend to drive in the slower lanes, but I see aggressive drivers every day go nuts flashing their lights and honking their horns whenever the driver in front of them isn't going 80+ miles per hour. When you see their faces, they look like they're about to blow a gasket. What amazes me most is that they continue to flash and honk for miles, instead of simply grabbing their own steering wheel (yes, all cars have them), and driving around the slower driver. Isn't that easier? Don't you hate when somebody's turn signal stays on for 20 minutes? It drives me crazy whenever I drive behind somebody who doesn't realize they left their blinker on and it blinks for miles. It's not only annoying, but its a potential safety hazard because you can't tell if or when they may actually turn or change lanes. 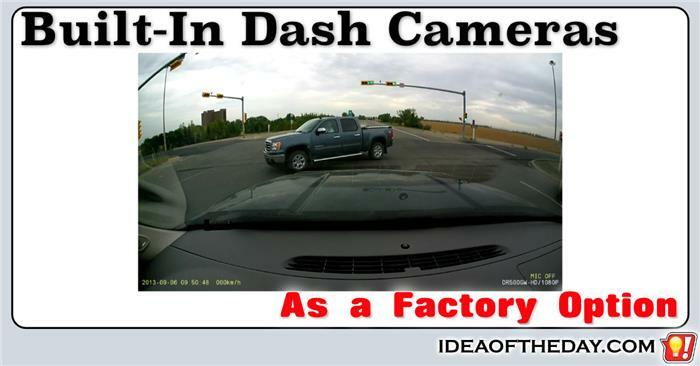 The solution is for car makers to add an override that shuts the blinker off automatically if the driver doesn't make a turn after a certain distance is reached. This is exactly what motorcycle manufacturers have been doing for decades. Are Mirrors Above Urinals a Good Idea? Are restroom urinal mirrors a good idea? You bet! About a week ago, I saw something in an airport restroom that I've never seen before, eye level mirrors just above the urinals. I didn't know what to think of them at first. They seemed a bit out of place. Eventually I realized that when men are using the urinals they can't keep an eye on their luggage and my next thought was... why not put them in EVERY public restroom? It's not just about keeping track of your luggage. They can be just as handy if you've got shopping bags, or simply so you can see if anyone is trying to take your wallet. The bottom line. I love the idea. Car horns are supposed to be for emergencies. Why the heck are laundry and dish washer detergent pods so colorful? On the surface, detergent pods seem like a brilliant idea. You just pop them into your washing machine or dishwasher. There's no more measuring messy powders or liquids, what could be wrong with that? I don't actually have a problem with the concept. It's the execution that's completely messed up, and it's not the fault of the inventors. The problem comes from the marketing departments of these companies. Instead of being satisfied that people will want to use them simply because of the convenience alone, they decided to make the pods more appealing by adding colorful dyes and flowing swirls that resemble... CANDY. If I told you there was something on the left side of your car... You might ask "My left or yours?". Every now and then we read about people who've had operations done on the wrong side of their body. If you do a simple web search for "surgeon operated on wrong side", you'll get countless results because the doctor's often don't make it clear which side they're referring to. Uber needs a few more safety features. Every day, millions of people use Uber to find a ride. Thankfully, just about every ride ends well, but once in a while we hear stories of rides that don't end well. Uber's solution is to provide an anonymous feedback system for people to share their experiences. Community feedback is a great way to weed out bad drivers, but because it's not mandatory, there's no system in place to insure that passengers arrived safely. Unfortunately there have been a few really bad drivers involved in assaults and in one case a driver was discovered to be a serial killer. 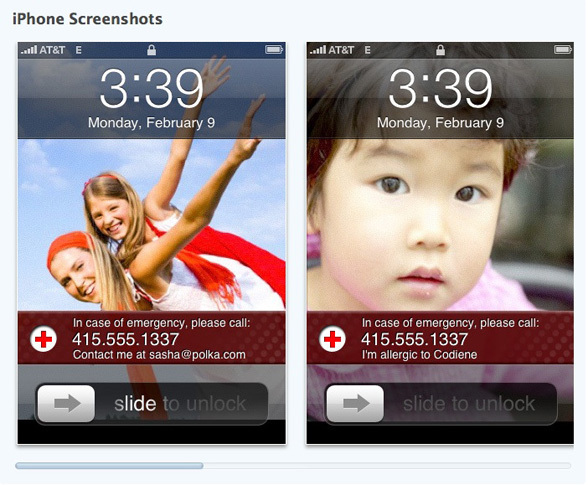 Lock Screens have one major flaw... Nobody can find your emergency contact information. 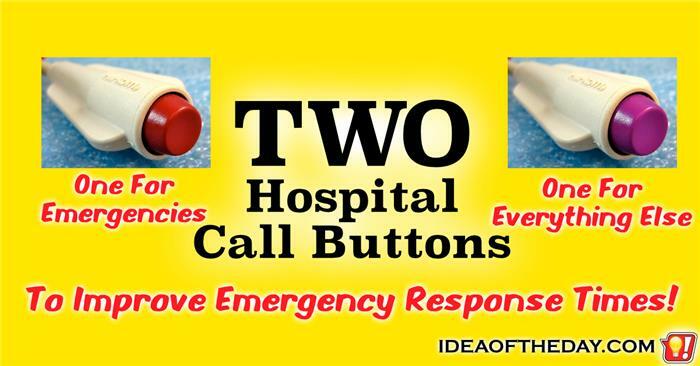 My September 2014 post "Emergency Contact Info Needs to Bypass Locked Phone" was read by nearly 3000 visitors, but as it stands today, mobile phones still lack this essential feature. When I originally wrote about it, new laws were being passed to force mobile phone companies to include auto-locking features in mobile phones to curb the number of mobile device thefts. Although locking phones is a great way to curb the number of mobile phone thefts, they need to also include a way for owners to display emergency contact information. 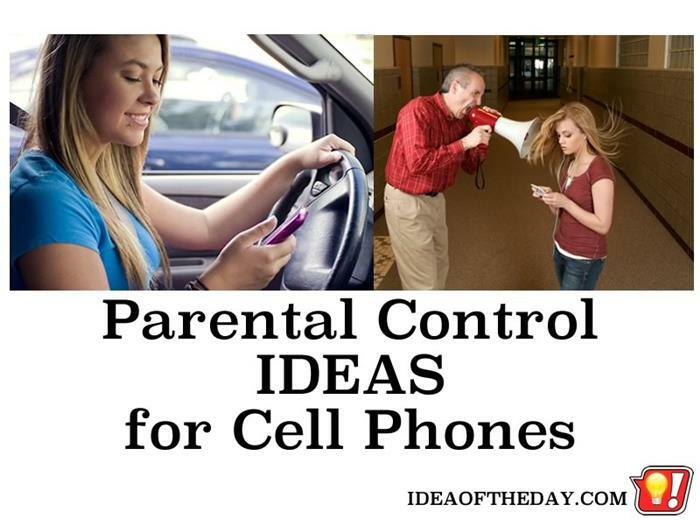 We need to re-think the laws that ban cell phone use in cars. In most states it's illegal to use a mobile phone in a car unless you use a hands free device. These laws were put in place because of the countless deaths caused by distracted drivers. 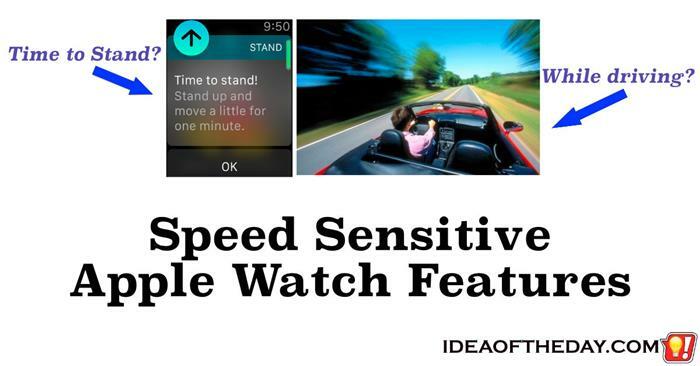 Now that wearable technology is becoming popular, we need to re-think those laws because it could easily be argued that wearable technology such as the Apple Watch or Android Wear are completely hands free, yet they are just as distracting. I'm not advocating that we create new laws that ban using wearable technology. 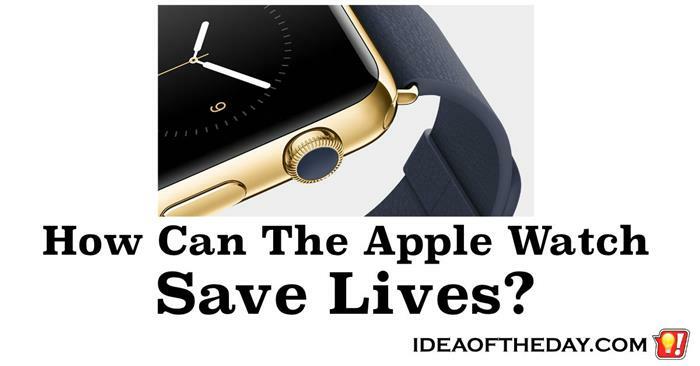 The main point is that technology keeps changing, so instead of creating laws about how we use our devices in cars, why not replace them with generic laws about driving while distracted? 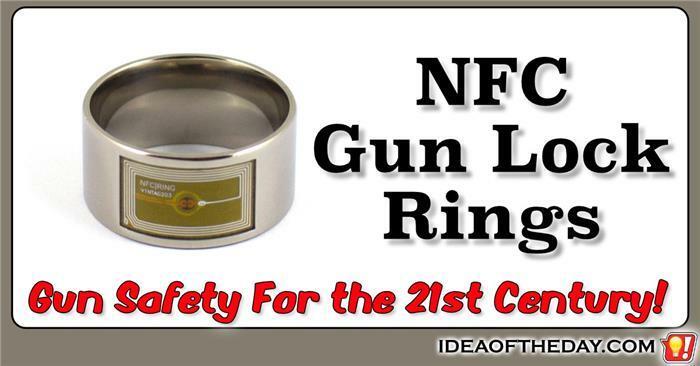 Gun safety for the 21st century! Owning a gun is a big responsibility, which is why gun owners take precautions to insure their gun doesn't end up in the wrong hands. We've all heard stories of children killed when the owner didn't adequately put it away, or of owners who were killed by intruders who somehow managed to gain control of the weapon. Although it's rare, there are even times when a criminal manages to shoot police officers with their own guns. A split second distraction can cost you your life. Most people know that it's unsafe to text while driving, but they don't realize it's just as unsafe to receive a text while driving as it is to send one. Regardless of how important a text may be, it's not worth risking your life for. Resisting the urge to send text messages is pretty easy, but we don't have much choice about when a message comes in because most of the time the sender has no idea you are driving. Although most smartphones have a Do Not Disturb option, very few people take the time to turn it on when they get in a car, especially since this would also block incoming calls. What SmartPhones need is a way to automatically block inbound texts whenever the phone is moving. Driving Mode Button. 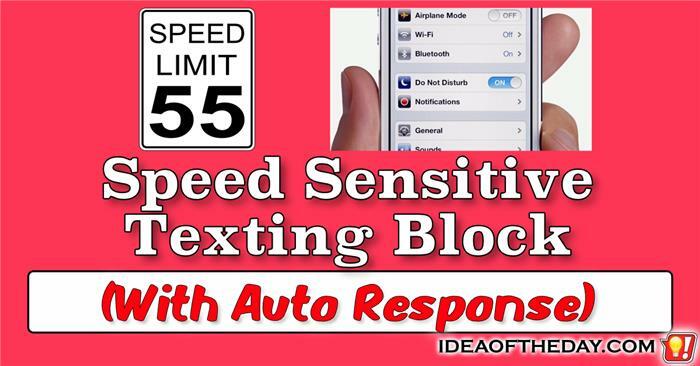 Block Texting With One Touch. There needs to be an easy way to turn texting off with one button. Its extremely dangerous to send text messages while driving a car. Even people who have no intention to send messages can be easily distracted if they receive a message while driving. 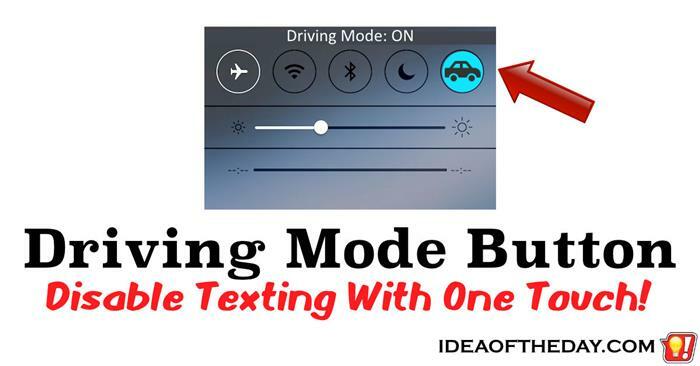 Countless lives have been destroyed because of texting, so there should be some method to disable texting while driving. I saw a big flashing sign on the NJ Turnpike the other day reminding them that they have a law that requires you to have your headlights on whenever your wipers are on. It makes sense. 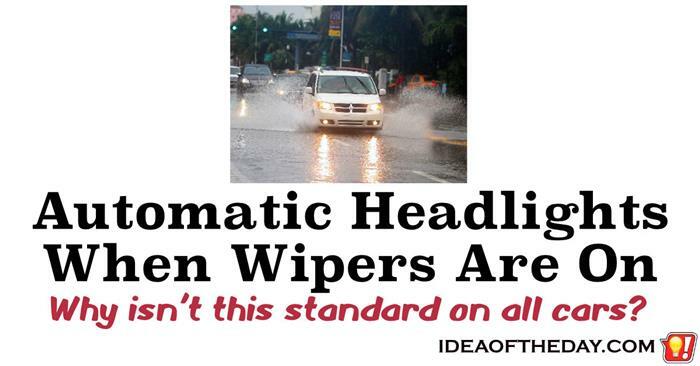 When it's raining, you have limited visibility, so turning on your headlights insures that other cars will see you. In NJ, the law specifically states that daytime running lamps, are not enough to qualify for the headlight requirement, so you need to turn on your lights to avoid a ticket. Even if states didn't require you to put your headlights on whenever your wipers are on, doesn't it make sense for this to be standard on all cars? One of the great things about today's ovens is the ability to literally "Set it, and forget it". 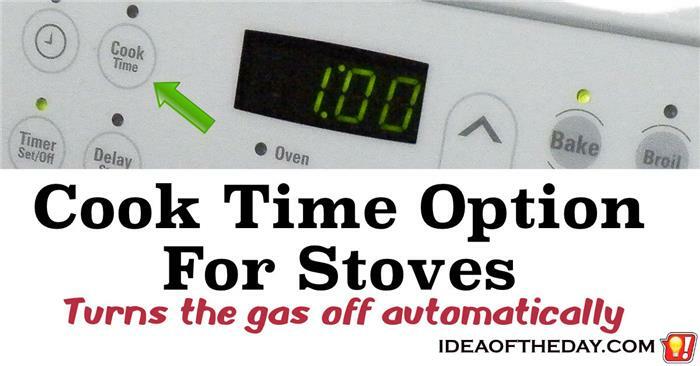 Unlike older models where the only timer control was an alarm that rang when it reached the preset time, newer models can even turn off the gas when the timer ends. This simple feature is a great safeguard against overcooking. With a microwave, you can't even start cooking unless you set the cooking time. So, why not have a similar option for the stove? Most of the time, you won't need a feature like this, because you tend to stand in front of the stove, but it would come in handy when you simmer a soup or a sauce for an hour or more. If you can't hear the timer, you can ruin the whole meal. 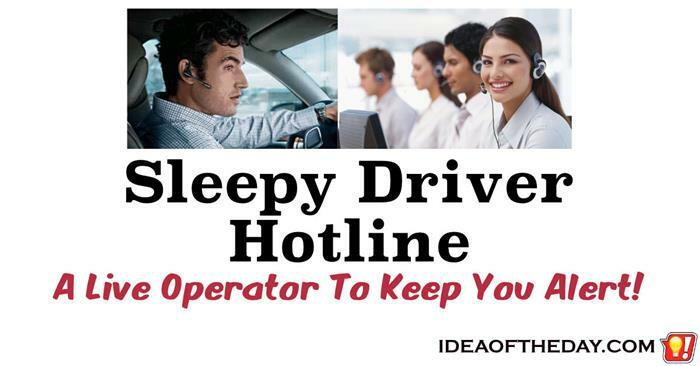 Sleepy Driver Hotline... Live Operators To Help You Stay Awake. The fact is, some people get tired behind the wheel, especially on a long trip. When that happens, one of the best ways to stay awake is to talk to somebody. But what if it's late, and there's nobody else in the car? That's why there should be a service people can call specifically to help people stay awake. The concept is pretty simple. For a small monthly fee, a call center will take your calls 24 hours a day, and stay on the line until you're fully awake. The conversation itself isn't important, as long as it's somewhat stimulating, even to the point of being frustrating, which reminds me of this classic Monty Python sketch. 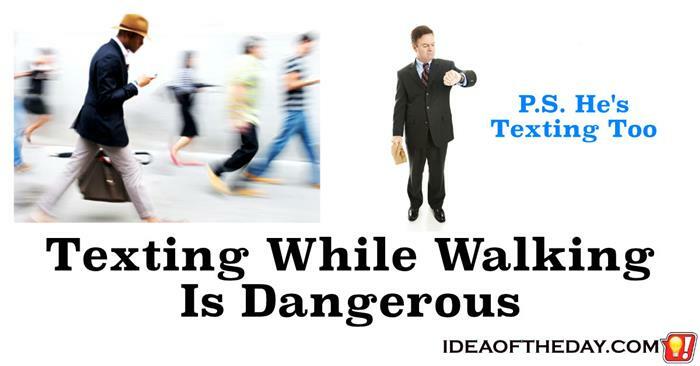 Everyone knows you shouldn't text and drive... Texting while walking is just as dangerous. Recently I saw a guy walking down the street while he was crossing the street. While that doesn't sound surprising, you may be surprised to hear that each year nearly 10 percent of all Emergency Room visits are cell phone related, and a large number of those are from people who weren't driving a car. They were walking. Injuries include everything from minor bumps and scratches caused by simply tripping, or bumping into people or objects, to more serious injuries or even death from falls or walking into traffic. I don't own an umbrella, Here's why. I don't know about you, but I hate umbrellas. I'm not sure when my hate for umbrellas started, but whenever I see somebody using one, all I can think of is how unsafe they can be. I know my view is in the minority. Umbrellas as a simple and popular way to keep you from getting wet, but the way I see it, I'd rather get wet than feel unsafe. 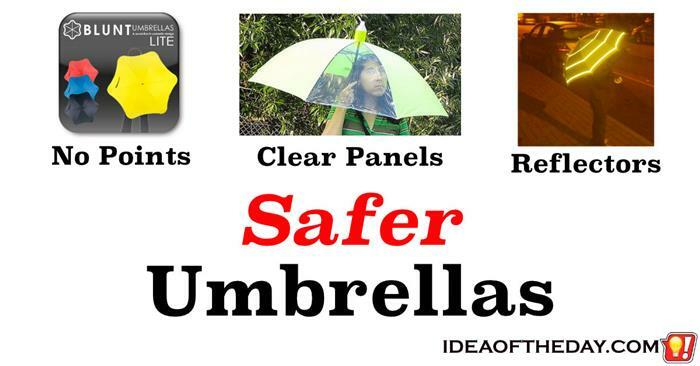 To me, there are so many unsafe things associated with umbrellas that I wouldn't know where to start, so here are a few of the biggest problems. First, I hate the points, Whenever I see them, I can't help but worry about poking people in the eye, so a safer umbrella should use rounded points. 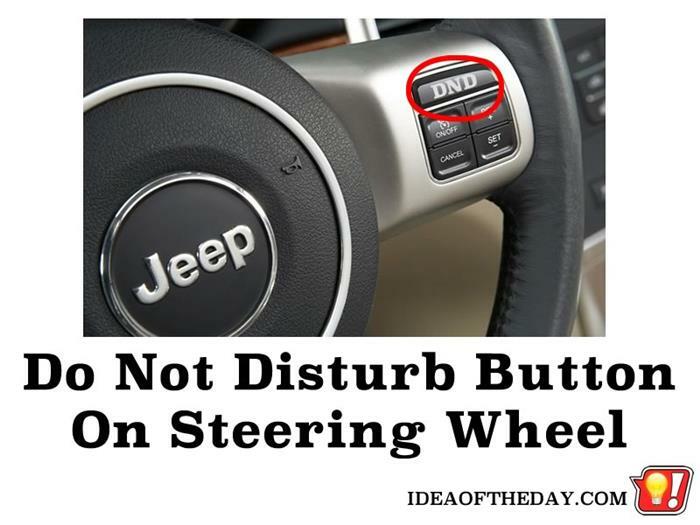 A Do Not Disturb Button on Steering Wheels. Mute Everything and Block Calls. Sometimes you just plain need to concentrate on the road. Mute buttons aren't new; a lot of cars have had them since the 90s. Before Bluetooth came along, Mute Buttons came in handy when your phone rang, so you could instantly silent the radio and answer the phone. Now that most cars have Bluetooth, you no longer need a Mute Button, because it usually mutes the radio when a call comes in, so you can talk hands free. I think it's time we re-think the purpose of a mute button. Instead of muting the radio so you can answer the phone, a Mute Button should allow you to BLOCK the call in the first place. 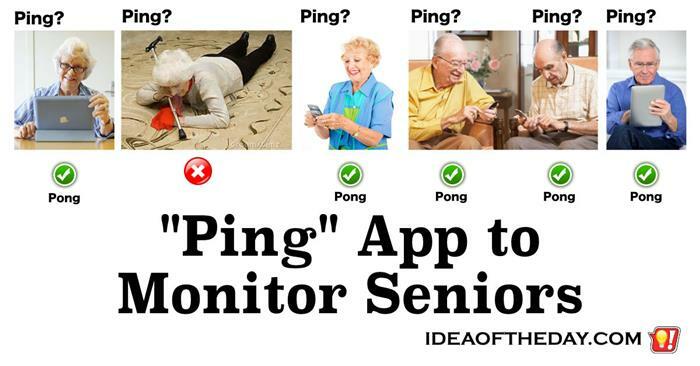 Here's a great idea. 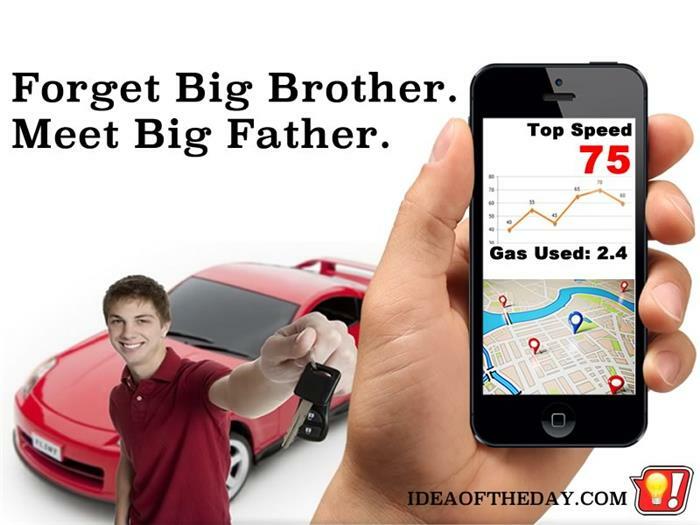 Spy on your kids when they drive! Spying on your kids? What a horrible idea. How could I even suggest this? It sounds so unfair. After all, kids today are so wonderful and we trust them to drive below the speed limit. We have no reason to think otherwise. Why wouldn't they be safe drivers, just like we were when we were that age? Um.. come to think of it. This is a great idea. Colliding with a speeding 25,000 pound fire truck is devastating... Not to mention for the fire victims. For years, many firehouses have had a traffic light directly in front of their garage so they can stop traffic while they pull out. The trouble is, most fire trucks have no control of the rest of the traffic lights they encounter on their way to the fire. 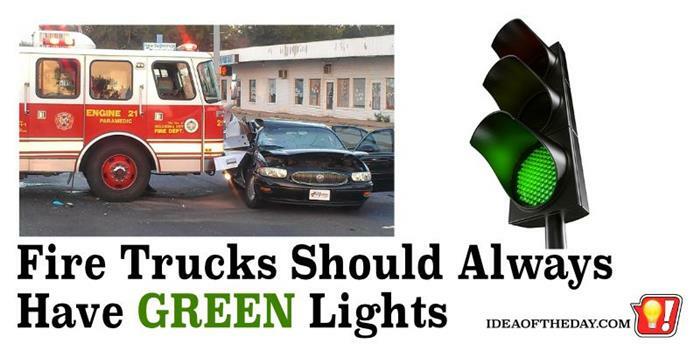 With today's automated traffic lights, GPS and wireless communications, there is no reason why a fire truck shouldn't be able to trigger all the traffic lights along their route to be green before they reach them. 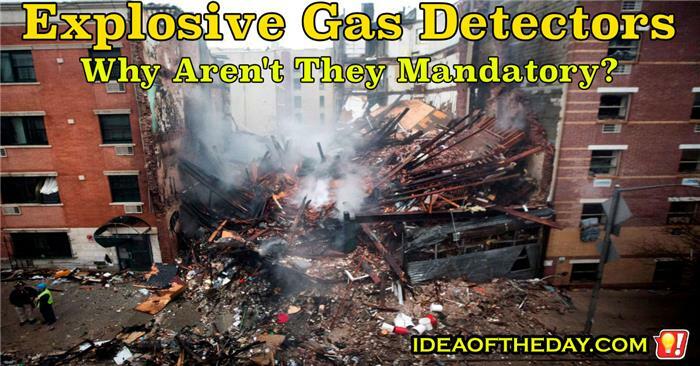 This would not only give them safer passage to the fire, but also speed up the response times. 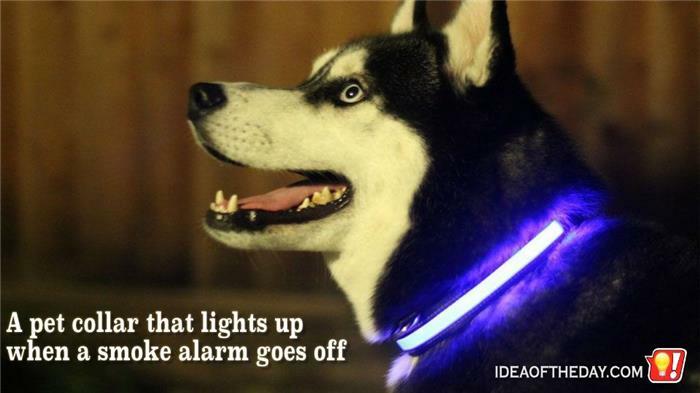 An Pet Collar That Lights Up When a Smoke Alarm Goes Off. One of the causes of these deaths is that pets are hard to find. 3 Ways Smoke Alarms Can Be More Pet Friendly the problem with pets is fear. Fire Lieutenant John Rogers was quoted on PetSafetyAlert.Com: saying "When animals are stressed, they hide from us, big-time. Because they are small, smoke affects them worse and quicker than it does a human." What Was I Thinking? Urine Contains Ammonia. Ammonia and Bleach Can be Toxic. I'm a science geek, but sometimes I ignore some of the basics. On the surface, the facts seem so simple. 2. Everyone hates the smell of urine. 3. Bleach kills germs and makes things clean. Based on that, it's obvious why so many people grab the bleach when we clean up after our pets. The trouble with that it leaves out two very important scientific facts. 2. You should never mix bleach and ammonia, because it produces toxic fumes. 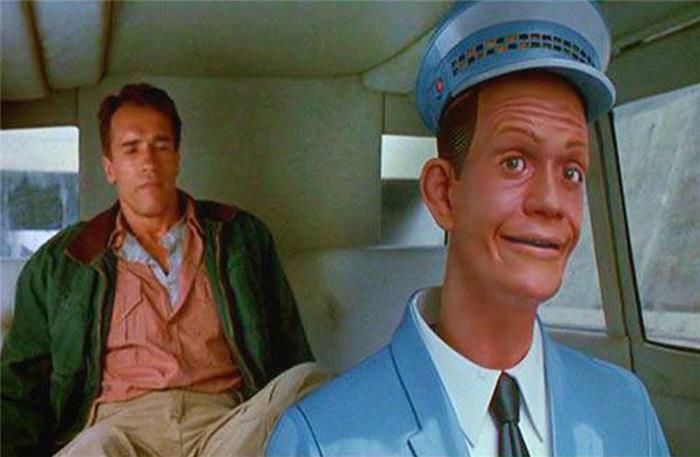 Johnny Cab was Sci-Fi only a few years ago. Are we ready for the real thing? 10 years ago, DARPA created a race to build self-driving cars that could complete a race in the middle of the Mohave Desert. It didn't end well. None of the cars finished. Each year, a new race was held and the cars could not only complete the race in the middle of nowhere, but in an urban environment (using an abandoned military base). This means the cars not only had to drive, but merge with traffic, navigate typical obstacles and obey local traffic signs.